By implementing the following five route planning tips, you can equip your fleet for efficient and timely journeys, and mitigate against some of the problems that cause delays and unplanned expenses. Setting realistic journey time expectations is the first key to a successful route. When planning your routes, ensure you give your drivers adequate time to complete their journey, along with a reasonable margin of error to account for traffic or unforeseen vehicle problems. This enables you to keep your customers in the loop with an achievable time window, without setting yourself up for failure or delays. Also, most importantly, it gives your drivers the freedom to be able to concentrate on driving safely. Ensuring the well-being of your drivers, your vehicles and other road users is, after all, the most important priority. 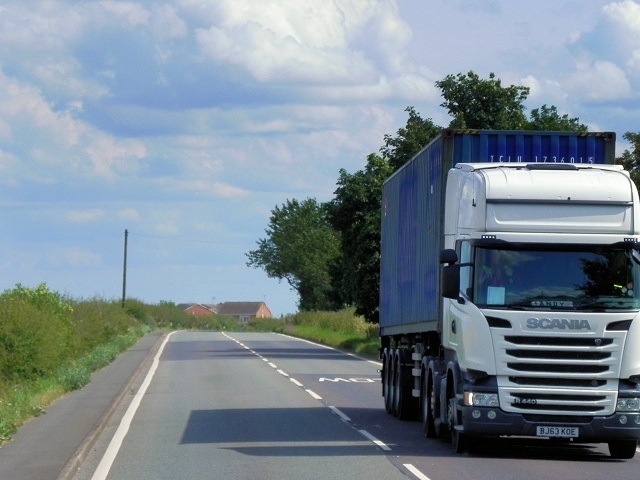 Lorries and HGVs can become a challenge to handle in adverse weather conditions. High winds, in particular, pose a hazard to HGVs on exposed stretches of motorway, and heavy rain can make driving unsafe. Be aware of the weather conditions along your route while planning, and keep up-to-date on developments in real-time where possible. Additional time should be factored in during wet, windy or cold weather. Other road users are the great invariable when planning a journey. Traffic jams are unpredictable and can build up suddenly with very little warning. Fortunately, it is now possible to check traffic updates in real-time through a number of online apps and route planning platforms. Heavy traffic isn’t something you will be able to eliminate entirely in advance, but it is helpful to have one or two alternative routes as backup plans should heavy traffic start causing severe delays. Smart driving can reduce fuel consumption, increase journey efficiency and lessen the impact of wear and tear on your fleet. What does smart driving mean in the context of HGV route planning? In essence it means consciously driving in a way that makes the least impact on the environment and other road users. Some HGV drivers have compared this philosophy to a kind of Zen for truckers. Regular driver training will encourage best practices and the use of full fuel efficiencies on the road. Using telematics software will also help you monitor fuel use and spot developing issues before they emerge, allowing you to drive safer and keep your vehicles in top condition. There are many good, commercially available route planning software platforms that are designed to help HGV fleets plan the most effective routes. Many of them produce multiple route options, updating the plans automatically when traffic and weather conditions threaten delays. Route planning software is your greatest ally when looking to shave time off of familiar routes or save money through fuel economies. By taking the time to plan your HGV routes carefully you can avoid a lot of potential delays once you hit the road. Moreover, taking regular maintenance and safe driving practices into account will make each journey cost less, increasing the profitability of your fleet.